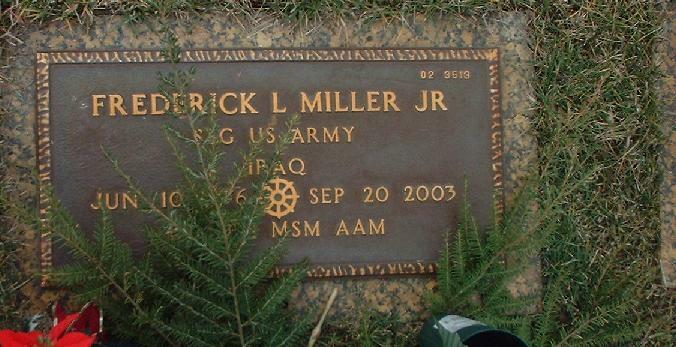 SSgt Frederick L. Miller Jr. 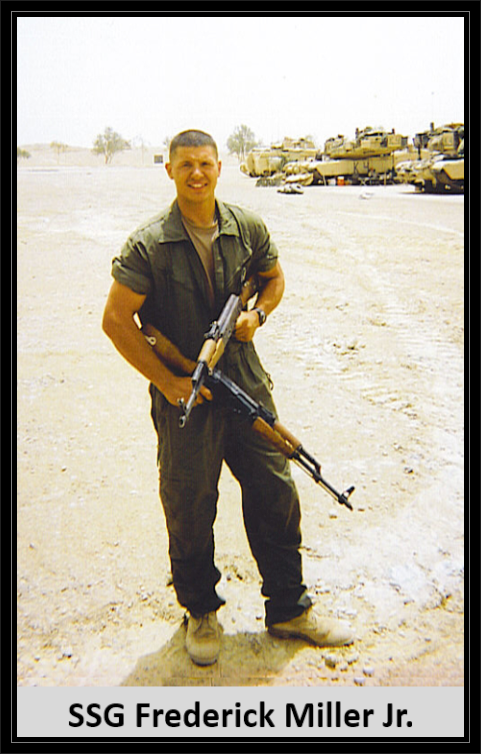 Hometown: Jackson Township, New Jersey / Hagerstown, Indiana, U.S.
Died: Septermber 20, 2003 in Operation Iraqi Freedom. Unit: Troop K, 3rd Squadron, 3rd Armored Cavalry Regiment, Fort Carson, Colo.
Miller was based at Fort Carson, Colo., before being sent to Iraq in April.